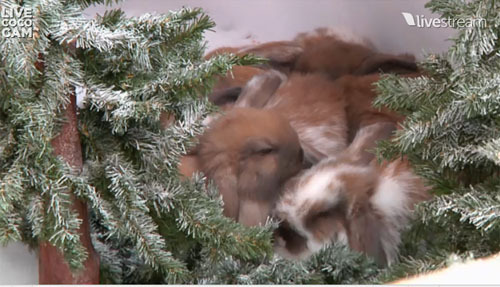 Conan O’Brien’s website is doing a livestream of different animals to celebrate the Christmas season. 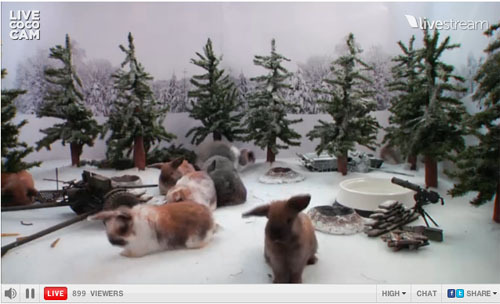 It is called the Live Coco Cam: Non-Denominational Xmas Critters. 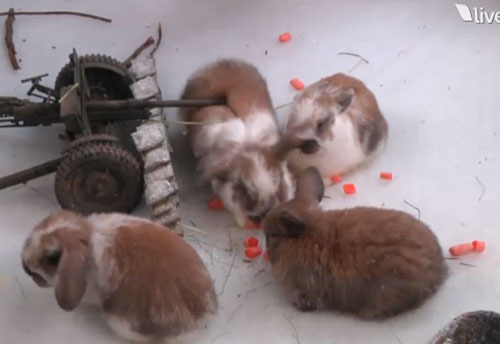 The cam features cute animals placed into some sort of environment (perfectly safe and either cute or funny, with toys and food for the animals). They have had animals on the cam since the 19th, and will have one more day tomorrow. So far the cam featured kittens on a plane on the 19th and tea cup piggies with a dinning room on the 20th. Today’s animal? Bunnies! They are on a battle field to replicate the Siege of Bastogne – a siege during WWII which took place Dec 20 – 27 1944. 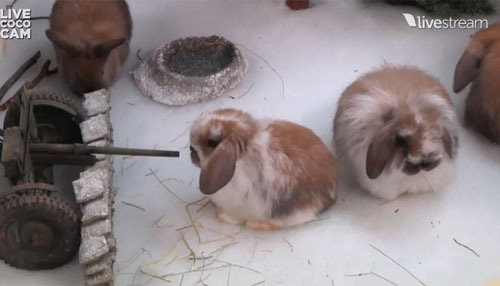 Click here to tune in and watch the bunnies until 6pm PST. Thank you Team Coco for the cute holiday animals! 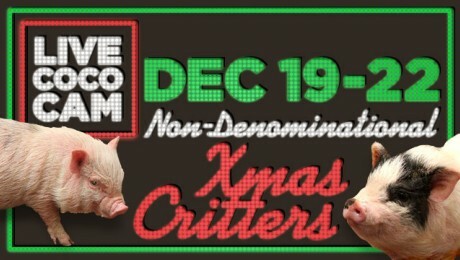 Visit Teamcoco.com for other info about Conan or the Xmas Critters.